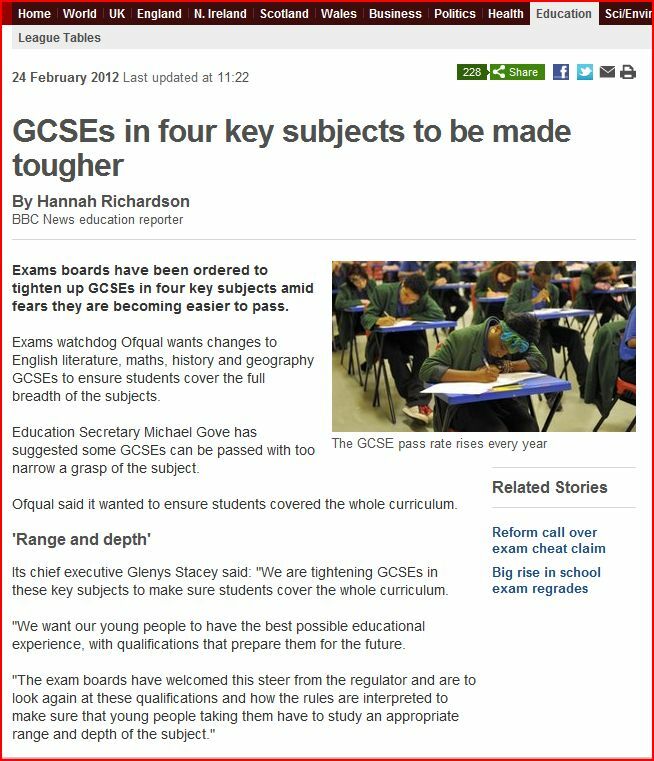 CCEA promise change on tougher GCSEs: Will CCEA deliver? 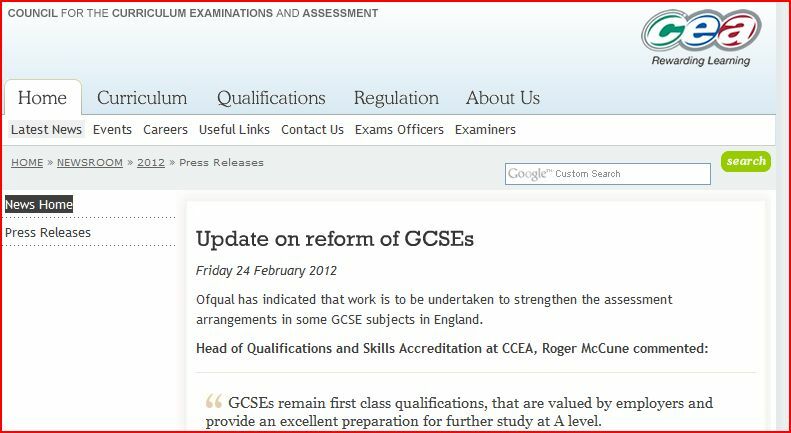 On Friday February 24th, 2012 CCEA issued a Press Release after Ofqual announced that GCSEs in English Literature, Maths, History and Geography would be made more rigorous. This statement contrasts with Education Minister, John O’Dowd’s recent statement that CCEA would not follow the English model. Clearly fears over the equivalence issue have resulted in a rapid rethink.